This study examined representations of families, by race, in national and local news and opinion media coverage— on television, in print and online. The study analyzed relevant stories published or aired in the two-year period of January 1, 2015 – December 31, 2016. Specifically, it investigated the extent to which national and local news and opinion media outlets present distorted representations of Black families and engage in inaccurate and racially biased coverage, both in word and image. The study involved a systematic content analysis of a recent two-year sample of cable and network news shows, national and local newspaper articles, and online opinion site content. The findings of the study indicate that news and opinion media do, in fact, perpetuate inaccurate representations of Black families across several different areas of coverage. Overall, the findings show that news and opinion media outlets routinely and inaccurately portray Black families as sources of social instability in society and portray white families as sources of social stability in society, irrespective of facts to the contrary. Several more specific key findings support the overall finding. First, news and opinion media overwhelmingly portray families living in poverty as being Black families rather than White families, contrary to fact. Second, news and opinion media exaggerate the proportion of families receiving welfare who are Black while also wrongly attributing the use of (and need for) government programs to laziness, dependency or dysfunction, contrary to fact. Third, news and opinion media incorrectly depict Black fathers as uninvolved or not present in the lives of their children, inaccurately suggesting that Black fathers abandon their children and that Black mothers make bad decisions about family structures and/or relationships. Fourth, news and opinion media significantly overrepresent the association between Black families and criminality while significantly underrepresenting White families’ association with criminality, distorting the overall picture of crime and those who commit crime. Across all of these points, the study findings indicate that certain sources (i.e., specific TV networks, TV shows, national newspapers and online news sites) perpetuate these reporting patterns more than others. News outlet editors, producers, reporters and pundits must work to end the pattern of explicitly and implicitly suggesting more Black people live in poverty and receive welfare than White people. News outlet editors, producers, reporters and pundits must work to end the pattern of explicitly and implicitly propagating the right wing-sponsored fiction singling out Black fathers as irresponsible and uninvolved in their children’s lives, contrary to the lack of evidence supporting those claims, and despite some evidence to the contrary. News outlet editors, producers, reporters and pundits must work to end the pattern of explicitly and implicitly overrepresenting Black people as criminal, contrary to fact, and furthering inaccurate and dehumanizing stereotypes that suggest inherent or disproportionate association with criminality. They must revise their overall standards and protocols for reporting on families and related issues, including i) setting stronger standards for sourcing information and experts, ii) setting protocols for re-evaluating “conventional wisdom” assumptions and iii) integrating stronger social context and research in sourcing stories to inform reporting. They must educate editorial decision makers and reporters about commonly spread misinformation and stereotyping in reporting as well as the impact of it. They must include people of color in setting editorial standards, which means including people of color in meaningful ways through hiring and across every level and role in the news production process. Corporate advertisers must take responsibility for sponsoring the steady campaign of misinformation and inaccurate representation led by right wing media outlets and revise their media buying protocols to incorporate standards of accuracy in assessing news platforms. A broad swath of society forms its opinions of Black families predominantly based on Hollywood films and television shows, including dehumanizing reality programming and sensationalized crime reporting in the news. In a media environment that continues to inaccurately depict Black fathers as absent, Black mothers as bad decision makers and Black families as destabilizing forces and that fails to present evenhanded, accurate and multidimensional portrayals of what it means to be a family in this country, we’re left floundering under an onslaught of bad federal and state economic policies and legislation that will doom families for generations to come. From its start, Color Of Change has worked to highlight how local and national news both intentionally and incidentally inject harmful bias into public opinion, taking on Fox News and working to get misinformation zealots like Glenn Beck and Bill O’Reilly off the air, and working to challenge conditions in New York local news rooms, which were found to inaccurately over-associate Black people with crime by 75%. This latest report contains an important snapshot of the two years of media coverage of Black families during the last election cycle, across various news outlets on television, in print and online. It is an important canon to reference, as we continue to unpack the various elements and cultural conditions that enabled the election of politicians—from the presidency to governors and others—who exploit good old ol’ boy dog whistle rhetoric, masquerading as economic populism. There is no question that the right wing has exploited the unwritten rules of media reporting and coverage to change the written rules of policy. And, destructively they have not only their own media platforms but also influence over purportedly neutral and evenhanded news outlets across the country to do it. From a historical standpoint, it is no accident that we continue to see a distortion in the representation of poverty, which paints a picture not just of poor, Black families as a drain on the system, but also systematically ignores providing context on their resiliency in the face of the tides these families are swimming against, tides that are out of their control and put them in harms way like despite, often as a result of corporate or conservative decision makers using them as leverage for profit and politics. There was once a time where the country felt a duty to end poverty, with President Franklin Roosevelt’s New Deal reshaping the economy and structure of the United States to that end. (We must remember that welfare was never stigmatized when White people were perceived to be the main beneficiaries of it.) The rhetorical move away from that commitment is the direct result of politicians and dark money working together to undo The New Deal and help the rich get richer. Those ideas have spread far beyond the realm of conservative politics and media alone. They are now thoroughly mainstreamed, as this report demonstrates. The biggest challenge in social change narrative work continues to be shifting the assumptions that underlie the barriers to the solutions we aim to advance and protect. According to research from Pew, over half the country believes that “lack of effort,” instead of circumstances beyond one’s control, is to blame for poverty, as opposed to lack of effective policies and commitments from the most privileged and wealthiest. And so poor people, especially poor Black and Brown people, become the media’s enemy— they blame the very people harmed by poverty for the deeply flawed decision making and structures that cause it, instead of the real decision makers. News media reinforce that thinking through programming built on debunked narratives about Black families. Research shows there are dire consequences for Black people when these outlandish archetypes rule the day: abusive treatment by police, less attention from doctors, harsher sentences from judges, just to name a few. And the reality is that even for those who consider themselves “progressive,” they’re trained to still see poverty as an “unfortunate condition,” one that can be remedied by cutting a check or contributing a volunteer “day of service.” We have to shift our understanding of poverty from that mindset, to seeing it for what it is—a manufactured system built on a failed trickle down economics framework, and painted in White identity politics. This reports helps lift the veil on how that played out during the 2015-1016 election cycle, which marked a dramatic resurgence of the Lee Atwater style of rhetoric. You will of course see some of the usual suspects in here. During the two plus years that led up to the election, The O’Reilly Factor remained one of the most viewed “news” shows on television, and pumped out one sensationalistic segment after another, attacking Black families in order to advance their far right-wing agenda and smear Obama era policies. Even though those policies were directly linked to the decline in crime and imprisonment rates, and the increase in employment rates and pathways out of poverty. While this year saw the O’Reilly empire crumbled—fueled, in part, by relentless pressure levied by groups like our organization, Color Of Change—the removal of O’Reilly from millions of televisions across the country does not significantly change media conditions or topple Fox News as one of the worst pushers of degrading programming. But you may also see some surprises here. The New York Times, who in the aftermath of Trump has rebranded itself as proverbial knight in shining armour—saving the media one Trump expose at a time—is shown to be a particularly bad actor when it comes to distorting images of Black families. As is Meet the Press, who over the course of this period brought on Pat Buchanan, who has long tried to pass off White supremacist ideology as legitimate mainstream political commentary. They also ran a stunningly tone-deaf gun violence segment pushing an explicit “Black-on-Black” crime frame in the direct aftermath of the Charleston Massacre, a well-debunked trope. What this tells us is that, while we can not exonerate the far right, mainstream media outlets have played an arguably more important role, not just in shaping misperceptions of Black and poor people in the minds of their consumers, but putting in place an administration that has put our country on the verge of an economic collapse, perhaps the likes of which we have not seen. In addition to our findings, we have included in here a set of recommendations that we hope will guide some of the thinking in newsrooms, in an effort to spark them to identify, evaluate and shift their role in perpetuating a racialized cycle of poverty and power dynamics that are the true destabilizing force for our nation. 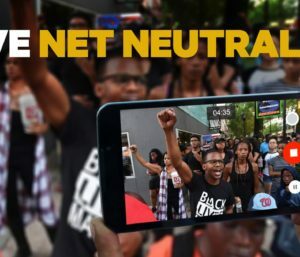 Join us at colorofchange.org to help us fuel this fight—the energy of people outside the news industry, and also that of those fair-minded people on the inside, will be essential for creating the leverage necessary to implement these demands, and make justice real. News and opinion media set the agenda for what we know and influence how we make meaning of what we see and experience in the world around us. For decades, scholars have documented how racialized and gendered stereotypes reinforced by news media shape our perceptions and, therefore, the decisions we make. The power of the news media to shape what millions of people feel is normal or abnormal is incredibly strong. There are few checks on that power. As with all media, news media focus a lot of attention on one of the big themes in our lives: family. The dominant metaphor for the nation is family: founding fathers, motherland, Uncle Sam. Families are assumed to be the basic building blocks of society and personal success, and their perceived strength or weakness is a key indicator of our nation’s health. Strong families are referred to as “the backbone” of a thriving society. Societal decline is often blamed on the “breakdown” of the family. And, as this report suggests, no one seems to be indicted more unjustly, inaccurately or relentlessly by the “broken family” narrative than members of Black families. Until now, no research has systematically explored racialized differences in how news and opinion media represent families. Of course, we know intuitively that disparities exist. After all, what’s the difference between having a “blended family” (hail! the future of family) and having multiple “baby daddies” (ack! the downfall of society)? It’s not just the structure of the family; it’s the race of the family. We often measure “good families” in colors. Imagine how far President Obama would have made it in politics if he fathered children with three different partners like President Trump has. The problem is not that this particular aspect of Trump’s family life is problematic, however. It isn’t. The problem is that a Black family in a similar situation is judged harshly—demonized for transgressing family norms, and even disciplined for it. White families are seen as trendsetters for creating new family norms (i.e., seen as “redefining norms” rather than violating them), and taking advantage of the opportunities those new norms offer. Black families are maligned and punished for it. This isn’t new. Throughout history, political leaders, power brokers and the media have worked to pathologize Black families in the American imagination in order to justify slavery, Jim Crow, mass incarceration, widespread economic inequity and urban disinvestment—as well as to gain and maintain political and social power. It resulted in the forceful separation and enslavement of Black family members and in the sterilization of Black women. Today, it results in criminalizing Black mothers and a wide range of other systemic injustices. News and opinion media have played an important role in reinforcing racist myths, thereby laying the groundwork for the political outcomes that follow. Take, for instance, the media’s hype of the Moynihan report’s specious 1965 warning that Black families were “crumbling” thanks to single mother-led homes and absent fathers. Three decades later, the media’s collaboration in the1996 push for welfare reform effectively maligned social insurance programs for rewarding mythical “welfare queens” for out-of-wedlock births and irresponsible fatherhood. Today, unchecked right-wing commentators blame police violence on mythical “absent” Black fathers. In each case, the underlying, racially distorted narrative is the same: White families are superior and should be free of government interference, and everyone else’s families are morally corrupt and should be disciplined. This study shows that news and opinion media continue to reinforce the unfounded and unfair idea that Black families are sources of personal, cultural and societal instability and that they are responsible for poverty, welfare and crime, rather than those who shape the economic and social environment families live in. It is not just the glut of negative representations that hurt Black families; it is also the absence of positive ones. This is even more striking if you consider how consistently news and opinion media advance White families as models of social stability. These portrayals reinforce the implicit bias people already have about racial difference, which inform behaviors and attitudes that show up in all aspects of our lives, including at the voting booth. Why do news producers, editors and reporters still perpetuate these fictions, even as they evolve their practices with respect to other issues? Part of the problem is due to the systematized conventional wisdom reporters rely on (no matter how often debunked) and part of it is due to political opportunism (no matter how often exposed). Examples of the way these racialized myths manifest are egregious and plentiful. When a four-year-old Black boy fell into the gorilla habitat at the Cincinnati Zoo in 2016, media outlets were quick to focus attention on the criminal history of the boy’s Black father, an unrelated detail that served no discernible purpose other than to invoke a stereotype that would criminalize the whole family and thereby justify blaming them for the tragic event. When a two-year-old White boy was snatched up by an alligator in front of his parents just a week later at a Disney resort, there was no media scrutiny of the parents and a vastly more empathic response overall. This is typical of a widespread pattern of racially biased reporting and racially biased norm-setting, which this report expands on in detail. Family life and family structure are changing, as they always have. These changes, however, are characterized differently depending on the race of the family. This steady pattern of pathologizing Black families and normalizing White families is an unjust and unacceptable status quo. News standards must change to humanize the struggles and successes of all families and prize accuracy over debunked, default and lazy conventional wisdom. They are founded on misinformed beliefs about the superiority of married nuclear families that have been mainstreamed through a vast network of well-funded organizations, including Christian ministries, South Poverty Law Center-designated hate groups, right-wing think tanks and pseudo-academic research institutes that push a series of interrelated, dangerous and dubious claims: that marriage is a valid “solution” to poverty; that married parenthood is the key to a child’s wellbeing; and that the so-called success sequence—getting at least a high school degree, working full-time and marrying before having any children, in that order—is a foolproof path to poverty avoidance. The groups behind the myth-making are fully aware these norms perpetuate anti-Black fervor; they use that fervor to win elections for conservatives and to advance both a religious and corporate policy agenda. News media cannot continue to serve as a platform for these methodologically flawed, morally misguided and racist narratives that cause so much harm while allowing the truth of the economic and social forces that drive shifting family dynamics to remain invisible. They must help the public understand the very real systemic barriers that impede wellbeing for so many families. That knowledge is what leads to effective, viable solutions. When news media fail at their basic responsibility—to tell the truth and challenge falsehoods—they fail all our families. Prior research has suggested that the news media in the past have overrepresented poor people as being Black. Our research confirms this: news and opinion media overrepresent Black family poverty by 32 percentage points while White family poverty is underrepresented by 49 percentage points. That is, Black families represent 59% of the poor in news and opinion media but make up just 27% of the poor, according to official reports, while White families represent 17% of the poor in news and opinion media but make up 66% of the poor, according to official reports. News and opinion media overrepresent the proportion of Black families receiving welfare by 18 percentage points. That is, Black families represent 60% of welfare recipients in news and opinion media but make up just 42% of welfare recipients, according to official government reports. Moreover, fewer than 10% of the news stories we coded cited any data referencing structural, historic or systemic barriers to Black wealth acquisition. Instead, Black people tended to be depicted as lazy and inept welfare recipients in news broadcasts. News and opinion media are more likely to identify Black fathers as uninvolved and generally not present for their families compared to White fathers. In reality, evidence shows that Black fathers are actually more involved in parenting than White fathers, both when comparing Black and White fathers who live with their children and when comparing Black and White fathers who live separately from their children. Often embedded in media reporting and punditry is an assumption that fathers who live separately from their children are not involved in their lives, for which there is no evidence. There is evidence, however, contradicting the assumption that Black fathers live separately from the mothers of their children for reasons of cultural dysfunction or irresponsibility, rather than structural factors related to social and economic inequality. News and opinion media are 1.32 times more likely to associate Black family members with criminality compared to White family members. In addition, news media overrepresent Black family members as criminals by 11 percentage points while underrepresenting White family members as criminals by 39 percentage points. That is, 37% of those represented as criminal in news and opinion media are Black family members, though Black family members constitute only 26% of family members arrested for criminal activity, according to crime reports, while 28% of those represented as criminal are White family members, though White family member constitute 77% of those arrested for criminal activity, according to crime reports. News and opinion media are almost 1.5 times more likely to represent a White family as an illustration of social stability than a Black family. White families are seen by news consumers as fostering social stability more often than instability while Black families are seen by those same consumers as inciting or maintaining social instability more often than social stability. Therefore, news and opinion media propagate racialized cause-effect explanations for social problems, cumulatively characterizing Black families, Black people and Black culture as presenting a fundamentally destabilizing force in their own communities and beyond while lessening the credibility of Black people as a stabilizing force. Across all points of examination, the study findings indicate that certain sources (i.e., specific TV networks, TV shows, national newspapers and online news sites) perpetuate these reporting patterns more than others. It is not only the ideologically-driven news sources, such as Fox News and Breitbart, that do so. Dr. Travis L. Dixon is Professor of Communication and the Communication Alumni Professorial Scholar at the University of Illinois at Urbana-Champaign. Professor Dixon is a media effects scholar who specializes in investigating the prevalence of stereotypes in the mass media and the impact of stereotypical imagery on audience members. He has written dozens of academic papers that systematically assess the content of racialized media imagery and the impact of these biased depictions on viewers. In addition to the University of Illinois, Dr. Dixon has held faculty positions at the University of Michigan and the University of California, Los Angeles. Over the past two decades, Professor Dixon has undertaken research that incorporates psychological theories of stereotyping, critical theories of race and communication theories of media effects. During this time, Dr. Dixon has examined the content and effects of stereotypical depictions across various media including news, television, the internet and music. His research investigates the linkage between stereotypic content and social judgments using a variety of methodological approaches including quantitative content analyses, experiments and surveys. His research has been cited thousands of times and his methodological innovations have been promoted in popular Communication methods textbooks. He has served as a principle investigator in cooperation with the RAND corporation to investigate police-community relations in the city of Cincinnati by systematically analyzing police dash cam footage. Dr. Dixon also served as the 2013 Visiting Philanthropy Faculty Scholar at the Clinton School of Public Service. Dr. Dixon has been a frequent commenter on issues of racial stereotyping within the mass media. His work has been profiled in USA Today, the Chicago Sun-Times, WGN Radio, the Los Angeles Times, the Guardian newspaper, and NPR. Dr. Dixon has received seven top paper awards from the National Communication Association and the International Communication Association. He has also received a top article award from the National Communication Association. Dr. Dixon has also received a mentorship award from the Communication Leaders organization. He was also the first recipient of the Graduate Student Service award at the University of California, Santa Barbara, named in his honor. He has also been honored as a top instructor on the University of Illinois List of Teachers Ranked as Excellent. Dr. Dixon serves on the editorial boards of the Journal of Communication, Communication Research, Howard Journal of Communications, Media Psychology and the Journal of Broadcasting & Electronic Media. COLOR OF CHANGE IS THE NATION’S LARGEST ONLINE RACIAL JUSTICE ORGANIZATION. As a national force driven by more than one million members, Color Of Change moves decision makers to implement changes in policy and practice that will ultimately create a more human and less hostile world for Black people in America. Color Of Change leads winning campaigns and initiatives across industries and government sectors related to criminal justice, the economy and work, politics, the environment, media and technology. Color Of Change has a strong record of working to change practices that lead to inaccurate and dehumanizing portrayals of Black people and people of color across the media landscape while also working to promote content and implement practices, systems and incentives that lead to accurate, authentic, diverse and humanizing representations. Research has consistently shown the widespread, real-life, everyday harm of inaccurate media representations of Black people—unfair, unjust and harmful treatment by employers, judges, teachers, doctors, lawmakers, voters and police. Creating a more inclusive and fairer industry is a critical organizational mandate. Color Of Change regularly works with news directors, journalists and others throughout the national and local news landscape. The aim of this work is to promote greater understanding of the effects of inaccurate reporting, the practices that lead to it and how to change those practices to ensure accuracy and fairness in reporting with respect to portrayals of Black people and issues affecting Black people. Color Of Change also released an earlier report, Not To Be Trusted , which exposed and challenged local TV news reporting in New York City—network by network—that was drastically, inaccurately and dangerously overrepresenting Black people as criminals. Color Of Change also maintains a presence in Hollywood, working across the entertainment industry to end the practices that lead to the systemic, inaccurate and dehumanizing portrayals of Black people and all marginalized groups in popular media. A recent Color Of Change report, Race in the Writers’ Room , exposed how hiring and content development for scripted television series in Hollywood is systematically whitewashing the stories that shape American culture and politics and also identified the worst offenders. Color Of Change welcomes partnerships with all those who share its goals and values. FAMILY STORY IS A COMMUNICATIONS, RESEARCH AND STORYTELLING ORGANIZATION. Our mission is to change the conversation about “good” families by challenging unfounded norms about family life and structure and promoting the fundamental dignity, value and soundness of a wider range of family arrangements and models than current norms embrace. We do that by promoting new ideas, fresh analysis and original research about the evolution of families, by collecting and sharing stories that counter the disproven conventional wisdom about families and demonstrating the strength, beauty and resilience of the real families of today. Our research agenda is designed to investigate emerging trends, public attitudes and media representations relevant to our collective thinking about families as well as to expose those responsible for the highly racialized and inaccurate stream of misinformation about families that the public regularly receives, both implicitly and explicitly, through our media environment. Most recently, Family Story completed a nationally representative online survey on unmarried women’s attitudes towards marriage, partnership and parenting.